HOME HAS 4 BEDROOMS, 2 upstairs and 2 downstairs. There is a full bath on each floor. Master bedroom is 20 x 12, 2 bedrooms are 15 x 11 and the fourth bedroom is 11 x 11. Garage is attached and is 22 x 14. Living room, kitchen and dining area complete the second floor. Home just had a new roof installed last year. 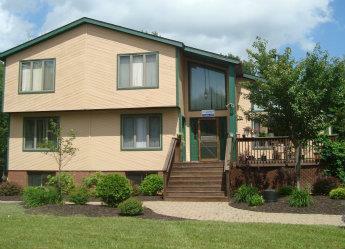 Great location near Tannersville and Mt. Pocono for shopping, and all the seasonal activities in the Poconos plus Mt. Airy Casino and the Crossings Outlet store. Monroe County is going through a countywide real estate tax reassessment. The taxes on this property could go up, go down, or stay the same. Offered by Ginger B Realty, 570-894-3400.